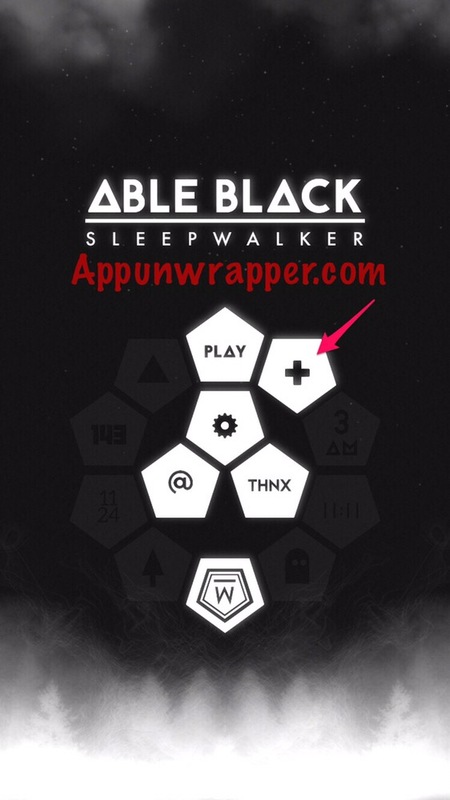 This is a complete step-by-step walkthrough guide with hints, tips, tricks, answers and solutions for the iOS and Android game Able Black by Scott Leach. Feel free to ask for extra help in the comments section. 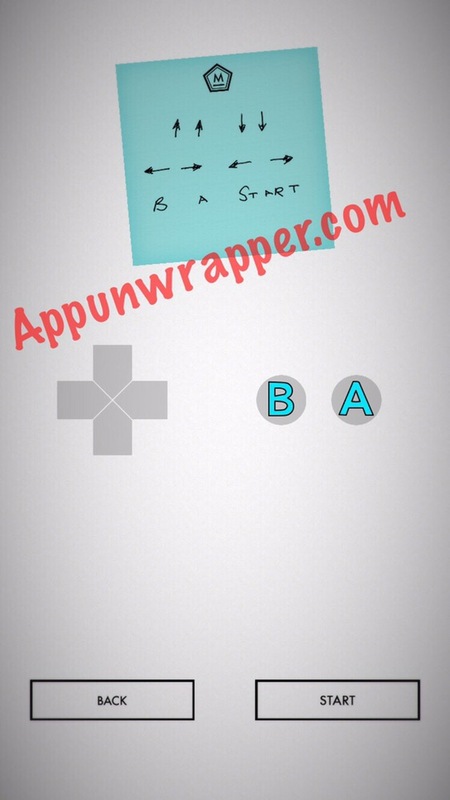 Note: If you want to see what the sticky notes say for different answers you give, you can close the app after you see one. When you open it again, you’ll be back at the choice, so you can see the other if you’d like. 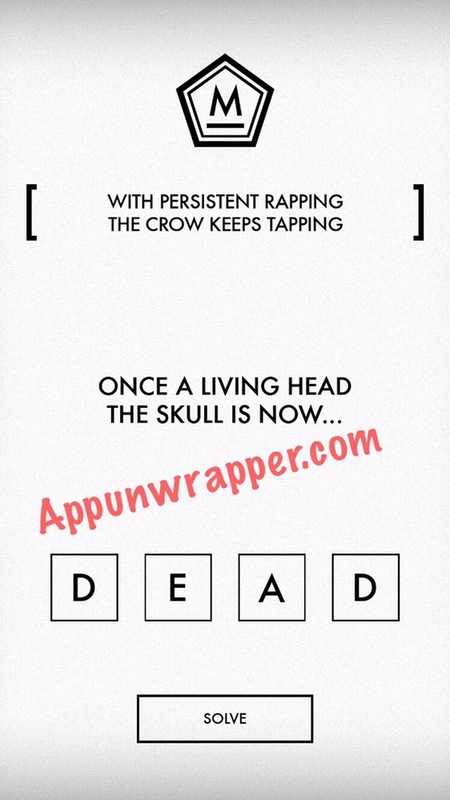 I believe you can answer anything for the first few questions, but I chose Optimism for the crow and Hope for the skull. Then I chose Skull for which is lost like Mother and Take for the last one. The answer is 212. 2 wings, 1 beak, 2 eyes. 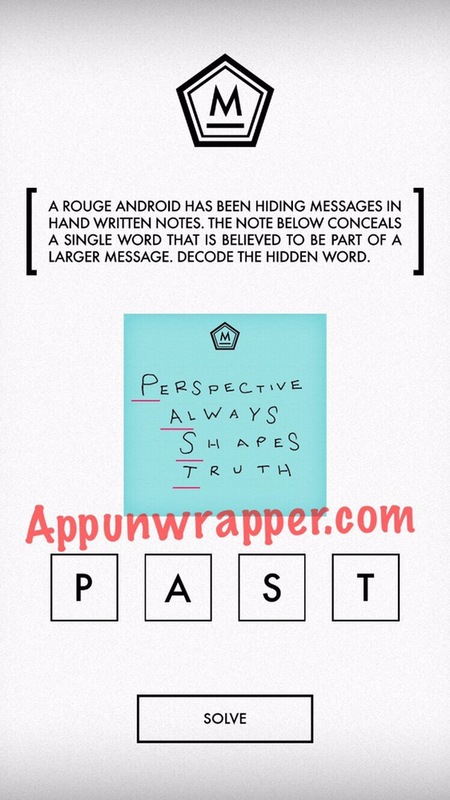 A ROGUE ANDROID HAS BEEN HIDING MESSAGES IN HAND WRITTEN NOTES. 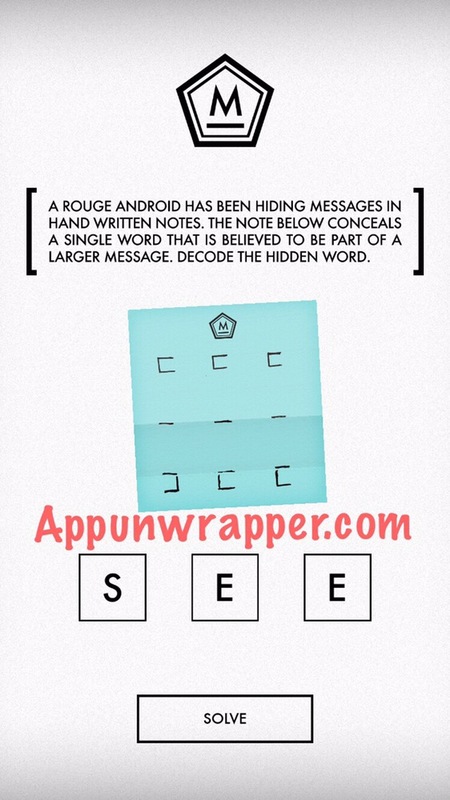 THE NOTE BELOW CONCEALS A SINGLE WORD THAT IS BELIEVED TO BE PART OF A LARGER MESSAGE. 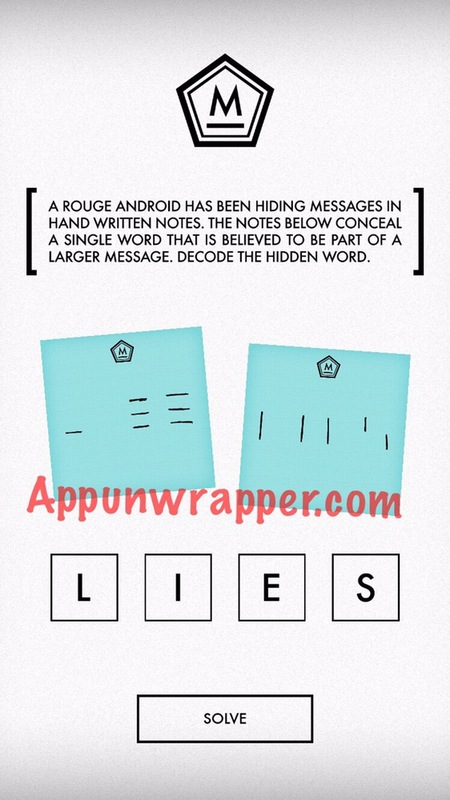 DECODE THE HIDDEN WORD. Notice the creases in the paper. Imagine folding the paper on those creases. 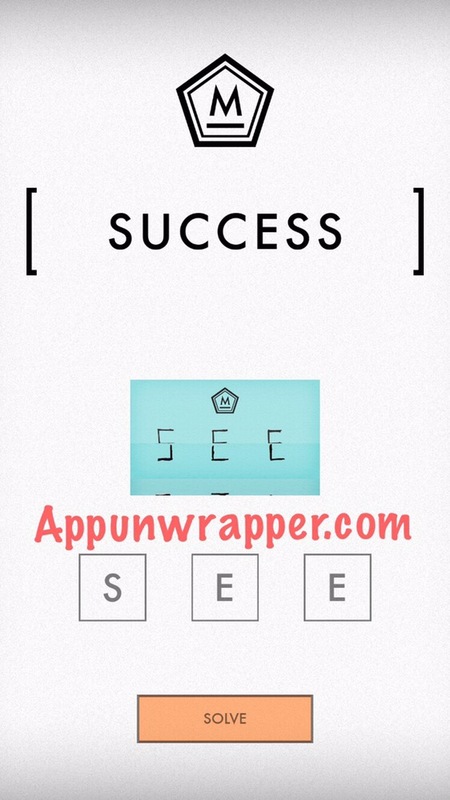 You would then get the word SEE. Notice the numbers 2115 on the right. 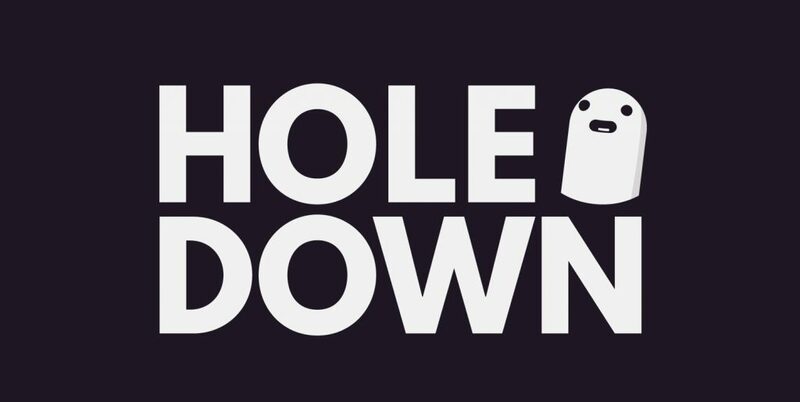 Then notice the word “SKULL” is upside-down. So the answer is “5112”, which is 2115 upside-down. 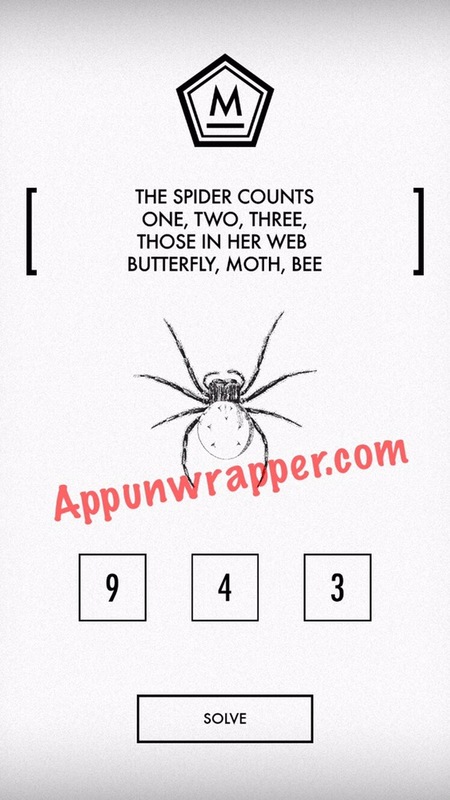 Count the letters in “Butterfly,” “Moth” and “Bee.” You get 9, 4 and 3. So the answer is 943. VIOLET IS SOMETIMES PROBE TO BOUTS OF POETIC SELF EXPRESSION AND MADNESS. HOWEVER, THERE IS AN ANSWER HERE. 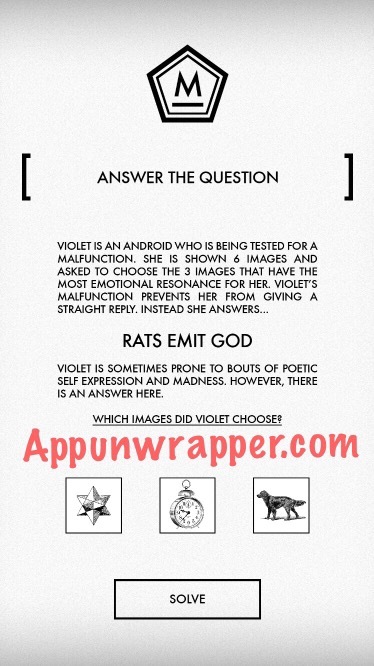 WHICH IMAGES DID VIOLET CHOOSE? 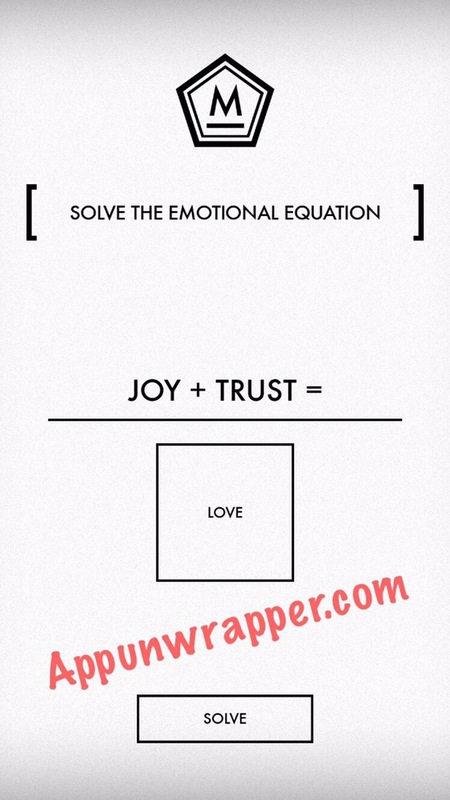 Take the first letter of each word and you get PAST. 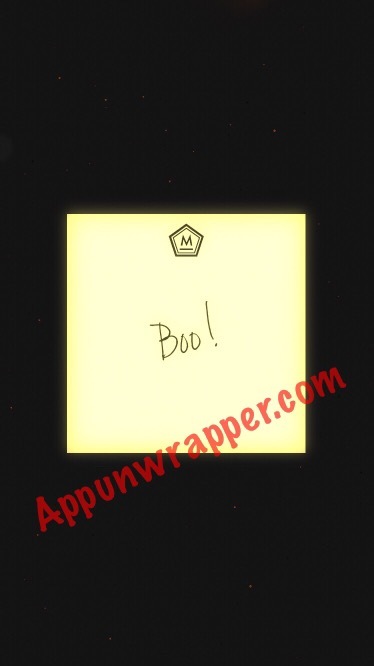 Notice “SPIDER” is written backwards, like a reflection in a mirror. 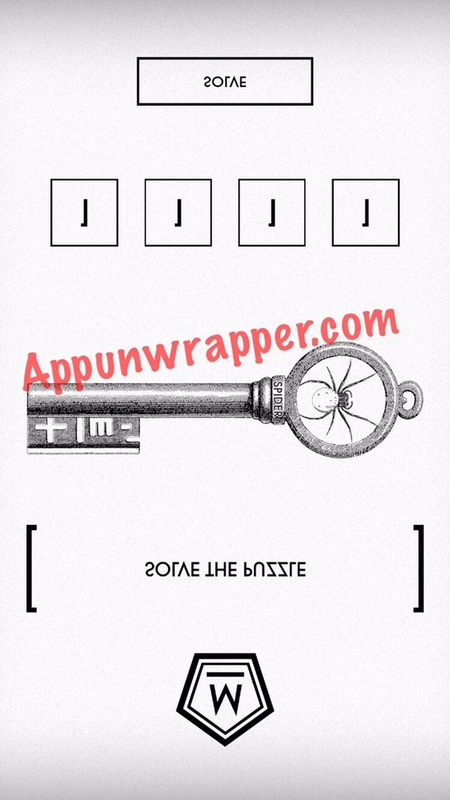 If you look at it in a mirror (or use an app to flip the image), the left side of the key looks like it says TIME. 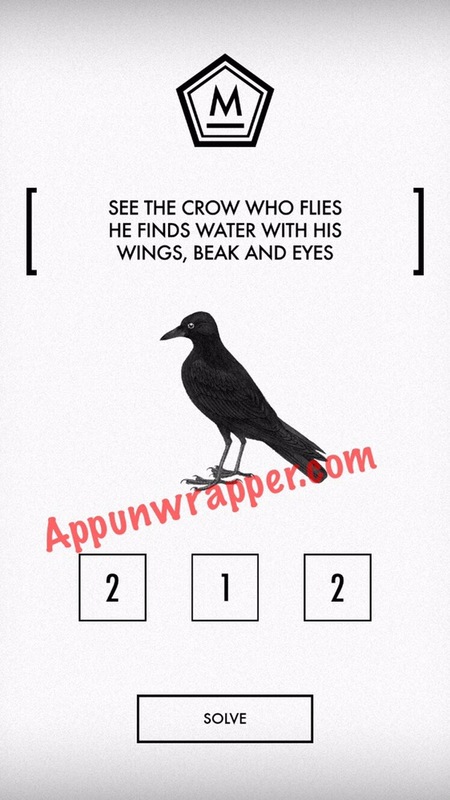 The answer will be different for everyone here, depending on the exact time that you enter the answer. For me, it was 10:08 PM, or 22:08 in 24-hour time. 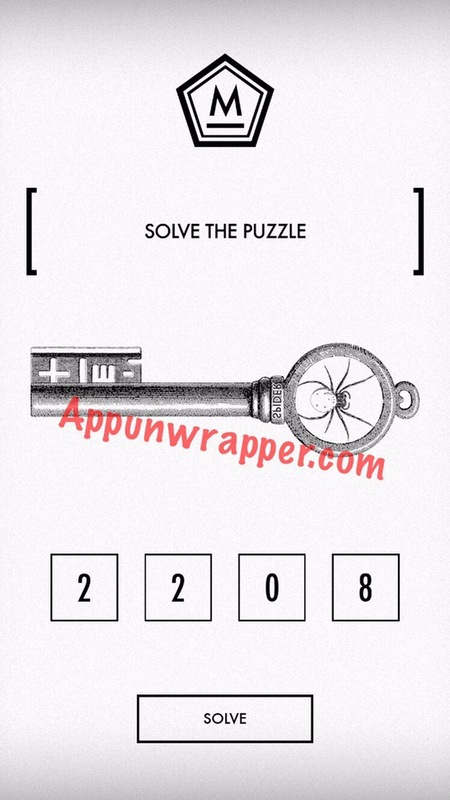 So the answer for me was 2208. 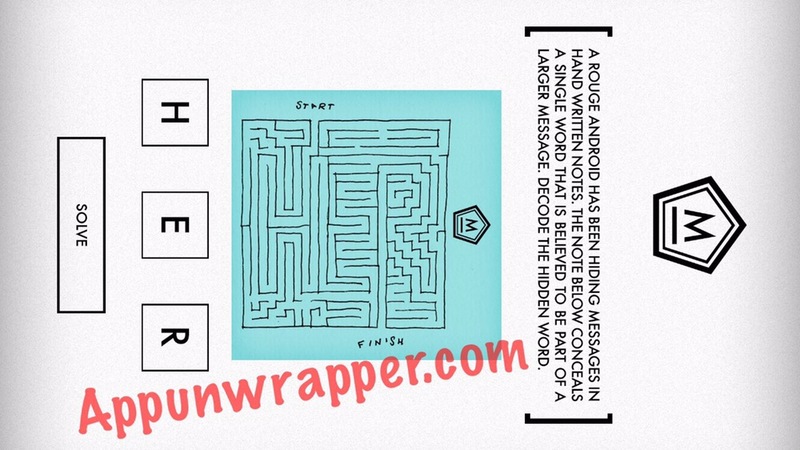 If you rotate your device, you can see that the maze spells out HER. 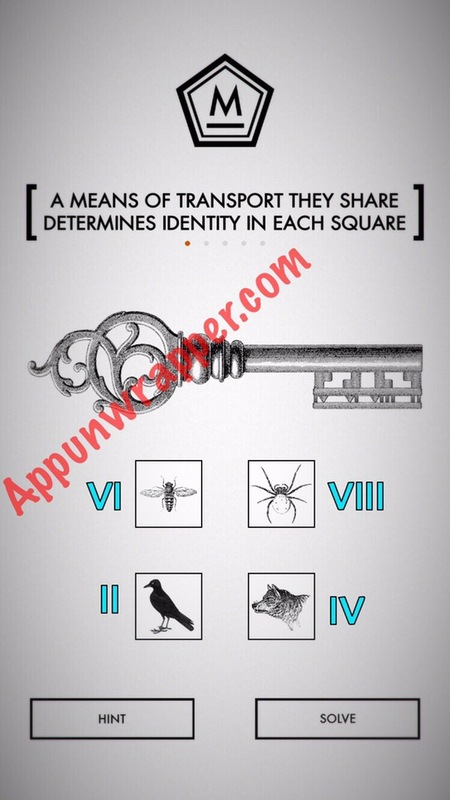 DETERMINES IDENTITY IN EACH SQUARE. 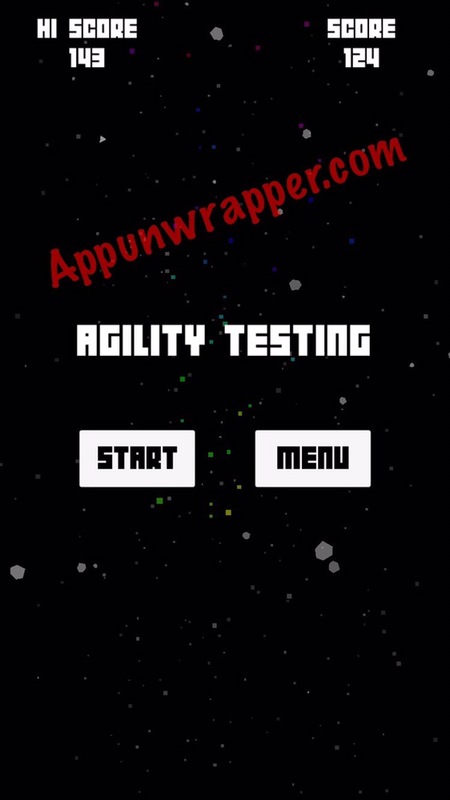 You need to tap the square at the top. It represents a die. 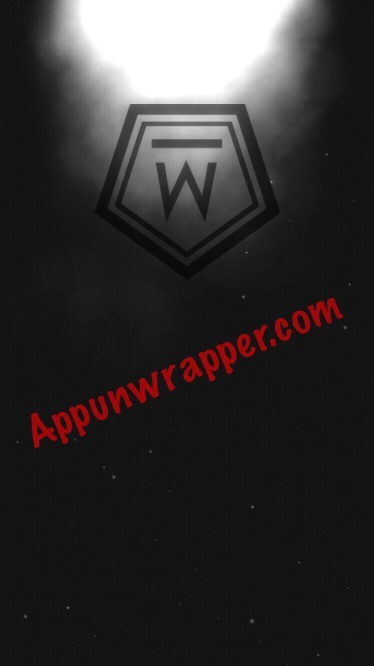 When you tap it, it will turn to show you another side. The six squares below make up a cube if you were to unfold it. The only one that can’t be changed is the bee. So that’s your guide. It might help to find an actual cube to work with. If you need help, you can use the photo below. HOW MANY ARTIFACTS DID VIOLET FIND? 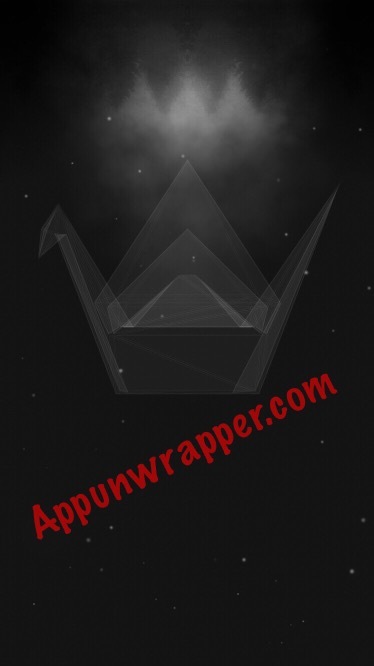 You need to find the anagram for THERE SOON HAUNTED. I got ONE THOUSAND THREE, but I don’t know if THREE THOUSAND ONE would also work. 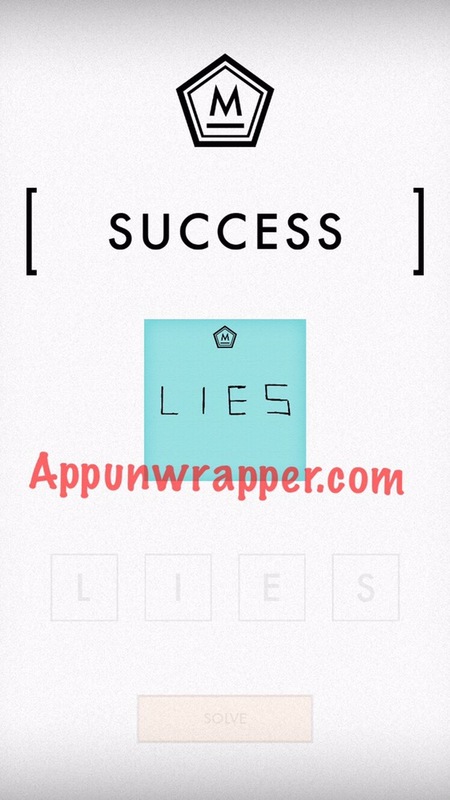 If you overlap the two notes, you get thw word LIES. WHO IS THE ANDROID YOU CALL JACK? This next question seems to have been omitted in the latest version of the game, or perhaps moved? HOW MANY ANDROIDS, INCLUDING YOU, HAVE OCCUPIED ARK 19, AND TAKEN THIS CITIZENSHIP EXAM? Every response you have found is from another version of you. Consider the implications of this carefully before you take your final test. 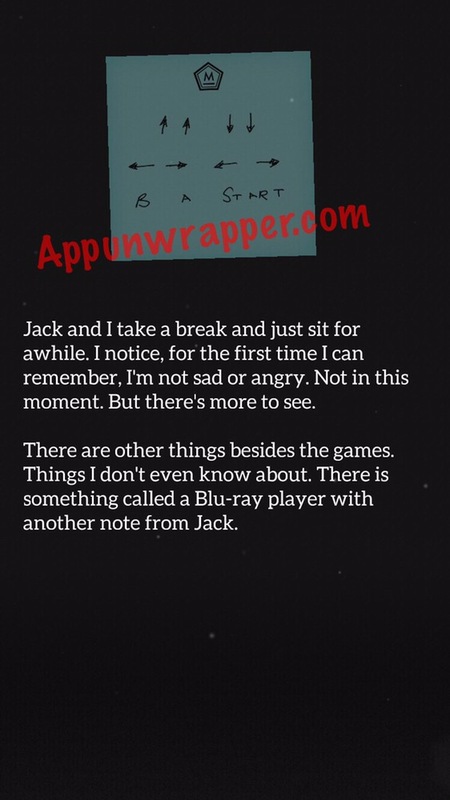 Tap on the + sign on the main menu screen to access the epilogue. There’s a Nintendo controller here. 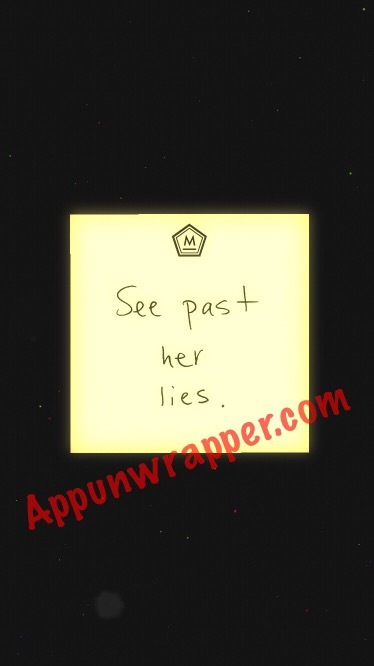 Remember the note from the story that looked like a cheat code? It’s also included on this screen. 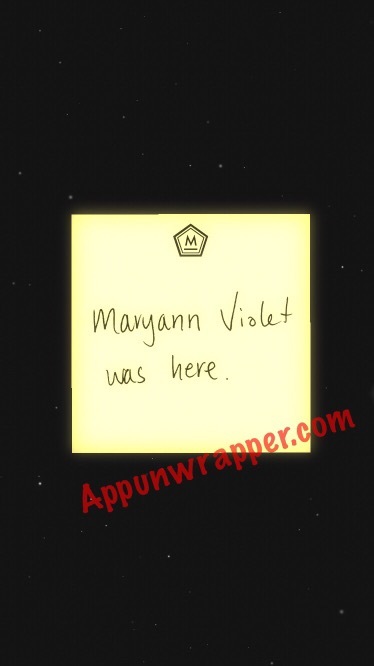 Just tug at the corner of the sticky note to see it. Up, Up, Down, Down, Left, Right, Left, Right, B, A, START. 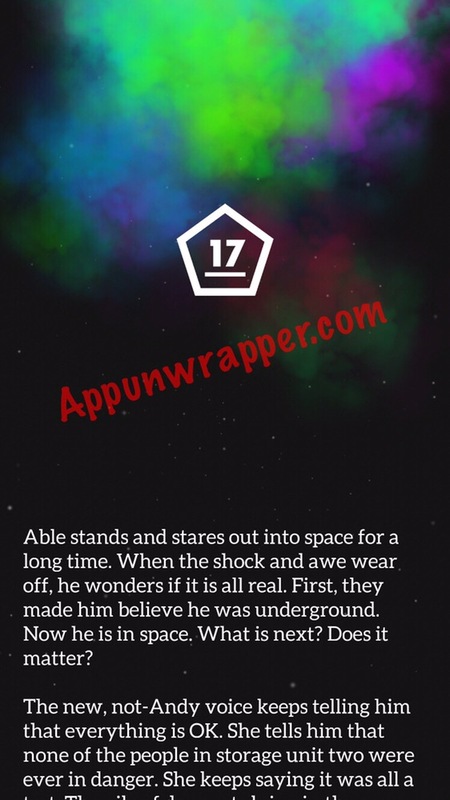 Now you can access the epilogue, which is labeled 17 for some reason. They made Mother to save humanity. 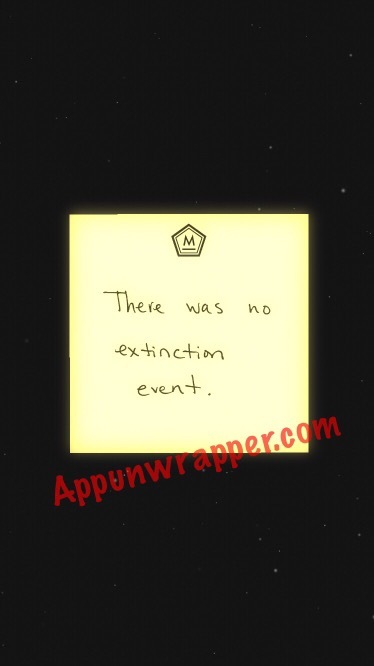 There was no extinction event. 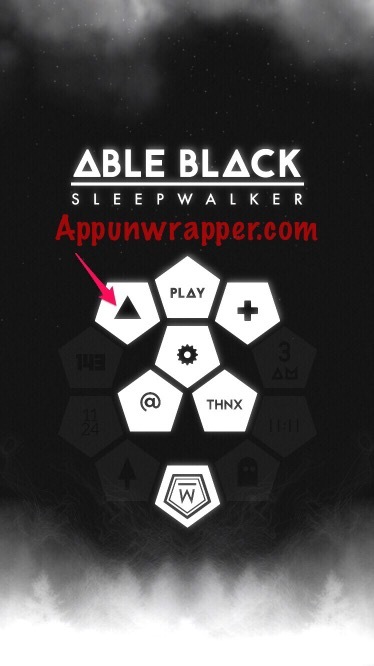 The triangle button on the home screen is an arcade game. 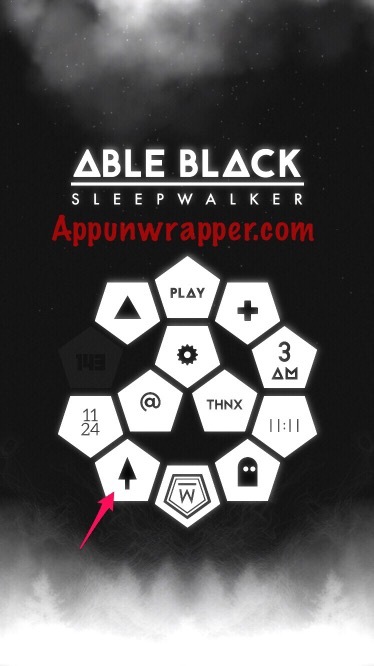 You have to reach a score of 143 to unlock the 143 button, but I haven’t done so yet. I made this for you like in the movie you like. 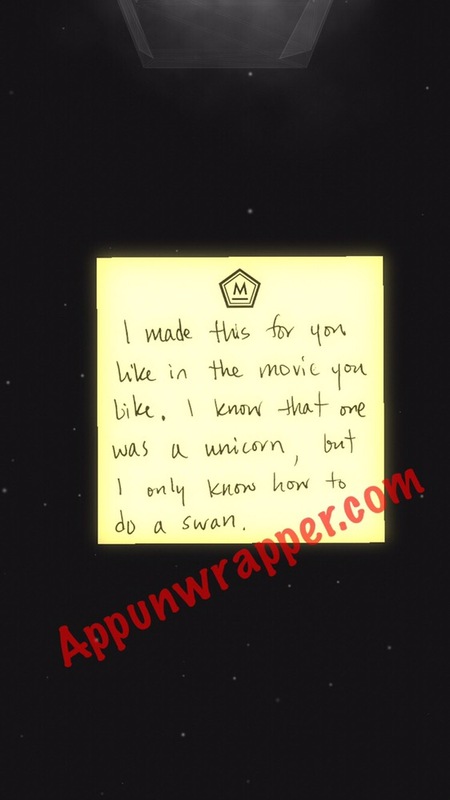 I know that one was a unicorn, but I only know how to do a swan. 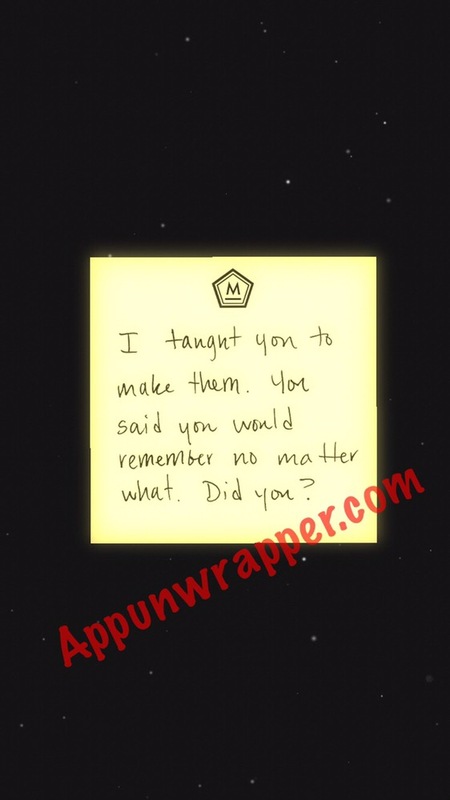 I taught you to make them. You said you would remember no matter what. Did you? 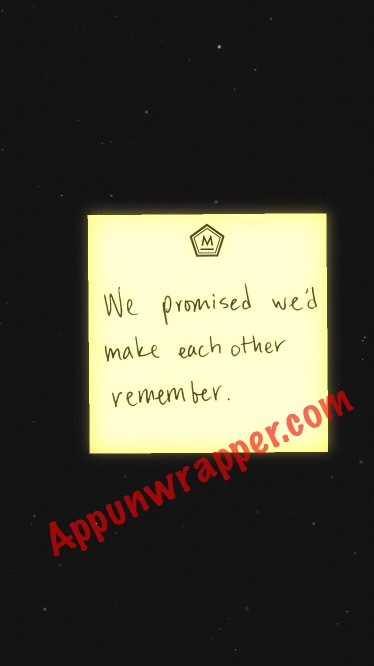 We promised we’d make each other remember. We used to make a wish every time the clock showed 11:11. 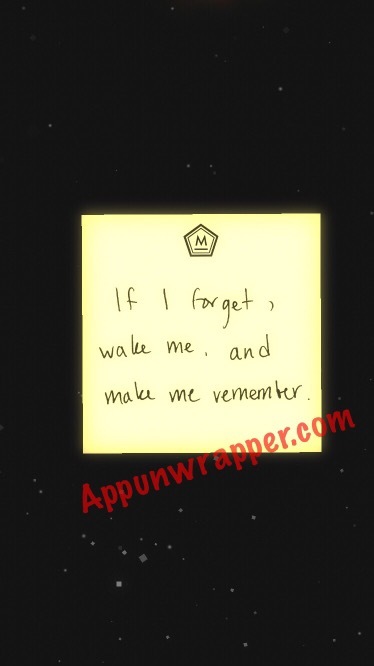 If I forget, wake me, and make me remember. I thought I’d hide this here. 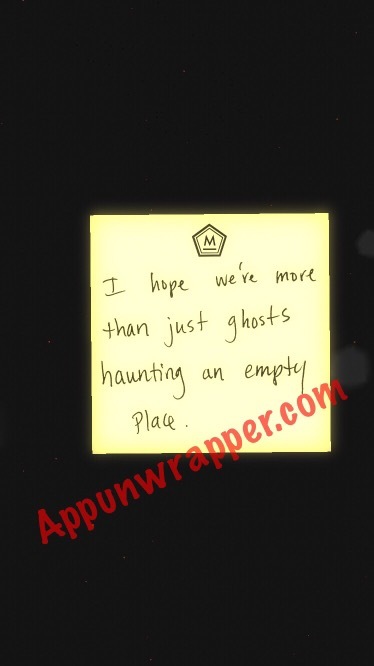 I hope we’re more than just ghosts haunting an empty place. I hope we’re together somewhere. I spray painted that one the walls once. She wasn’t happy. Do they still celebrate the holidays? We were happy once on this day. We loved each other. We never said so. But we did. 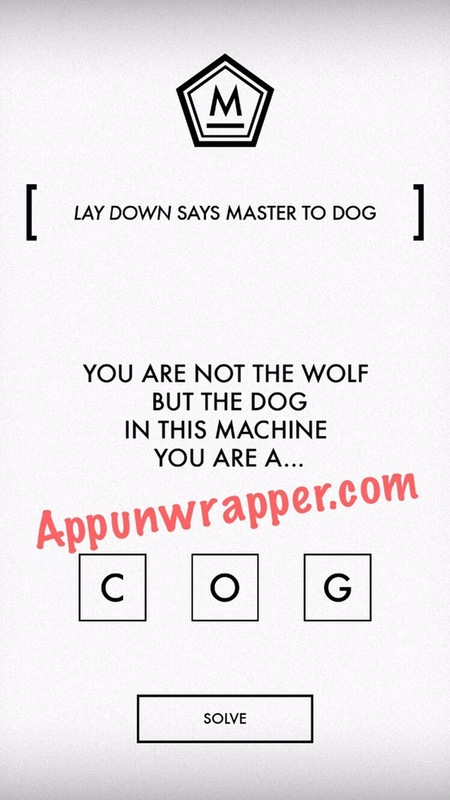 Answer to the first wolf and dog one is AWE. Still stuck on key one after this though. Funny… I considered trying that, but didn’t think it would be the right answer. Thanks! I need help with this too!!! 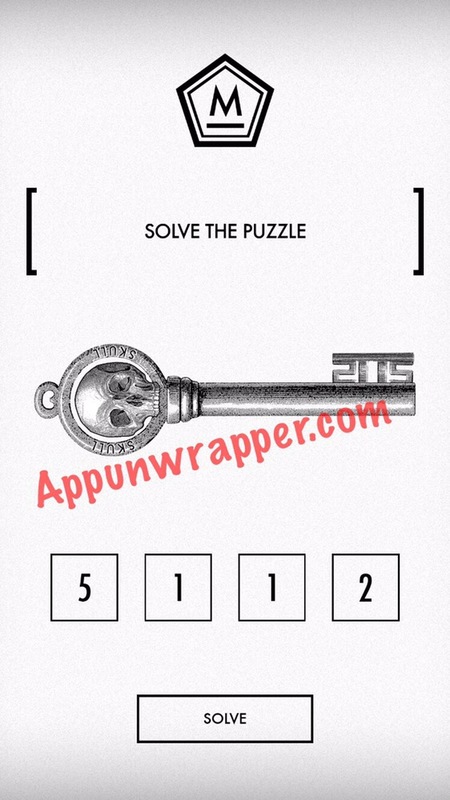 The key and 4 skulls one is driving me crazy! 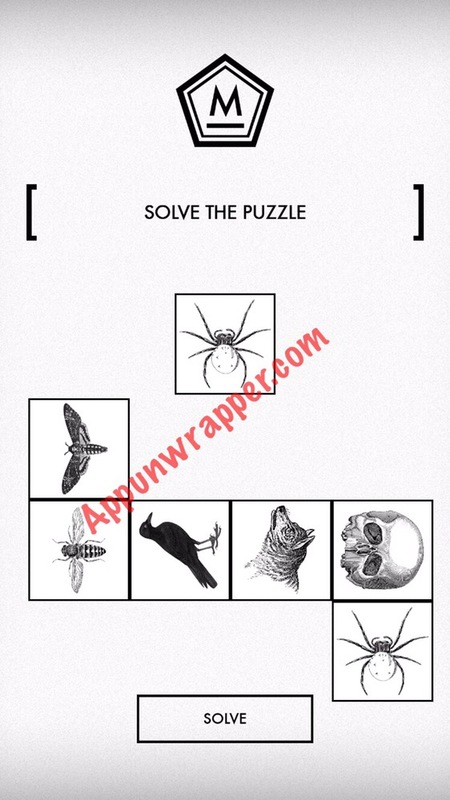 I’m pretty sure I have the right answer but the puzzle doesn’t seem to agree haha! Aaaaaah! I had it backwards…..I was using the outer corners of the L’s instead of the inner corners. Thank you! 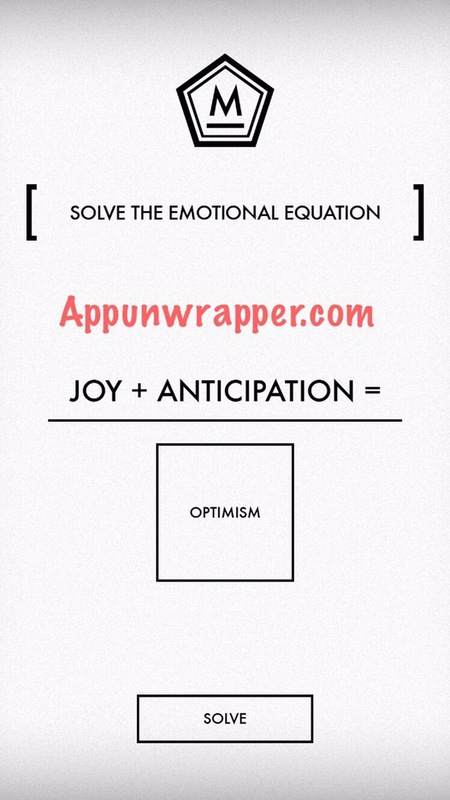 Where are you getting AWE from? That’s the one answer I couldn’t get on my own and I still don’t understand the answer really. Should we expect a sequel? Can someone explain me who is Mother, why is he in space and all the final story and the prologue?? 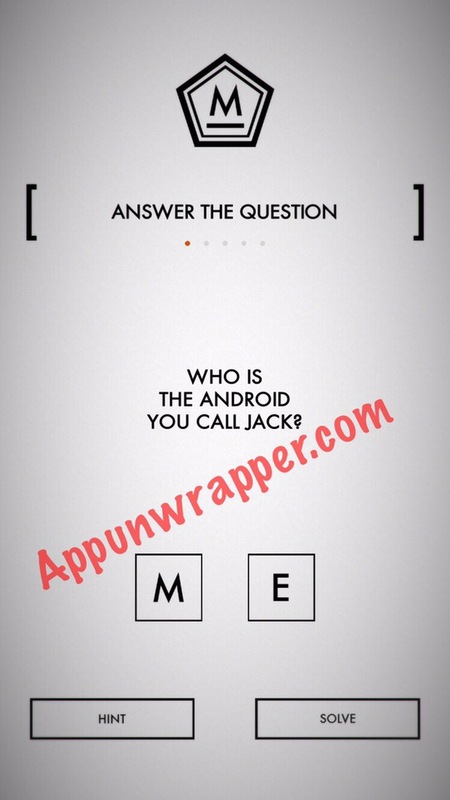 I got the question in the end, who is the android you call jack? And the answer is “me”. Change the System Time to 11:11 to unlock that square. There’s also one that says 11/24, which is the date. 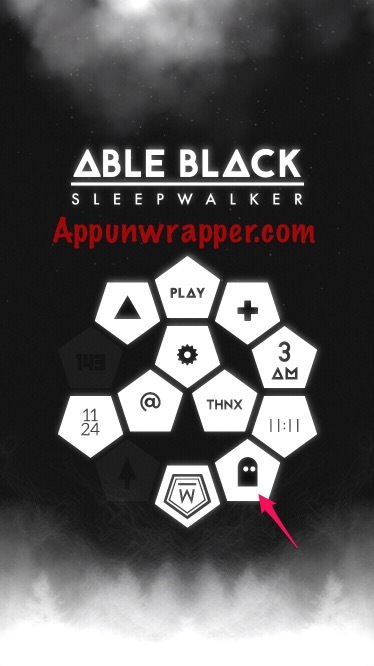 Personally, I’m stuck on unlocking the ghost and arrow hexagons. umm i am stuck in the spider key level because i write the exact time on my phone but it always say “WRONG”, i live in morocco,should i write the american time? How do i unlock the ghost, tree, and m? I unlocked “M” by solving all the puzzles without using any hints. Not sure about the other two, though. 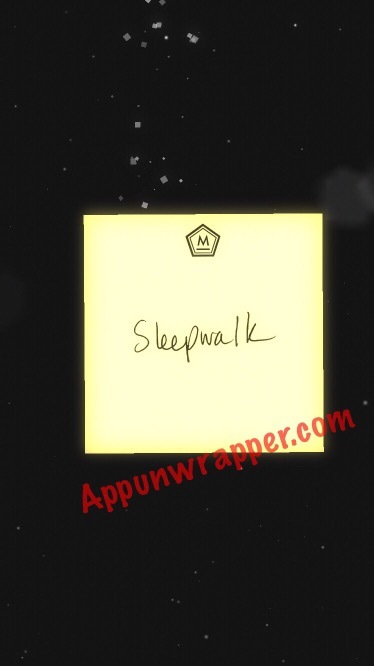 Sleepwalk refers to the song. So maybe have your phone playing that song or another source where your phone can hear it? I don’t think he would make you buy the song from iTunes. 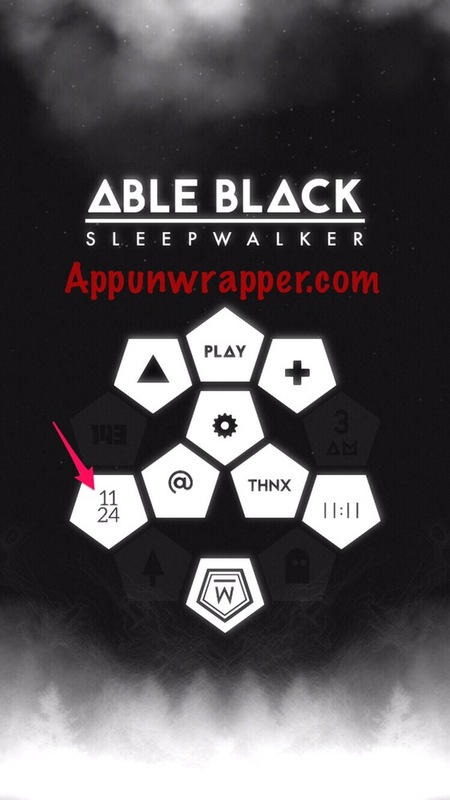 How do you unlock the menu hexagon with a 3 on it? I haven’t checked out the latest update yet. I’ll have a look at it and update this guide. 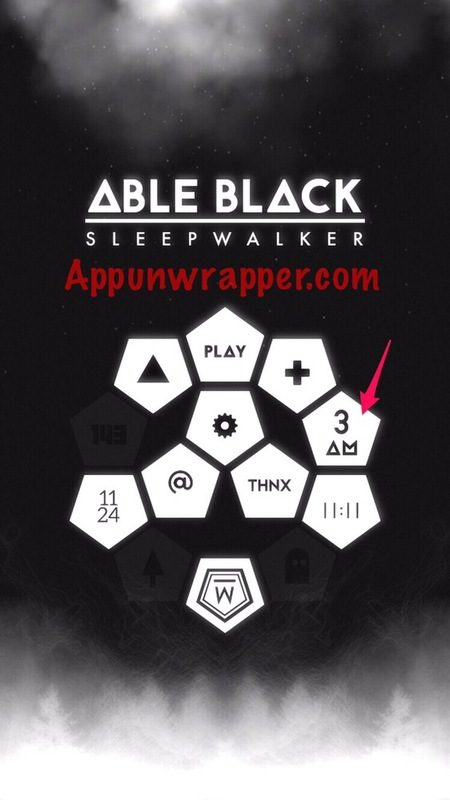 Change system time to 3am unlocked the 3am for me in updated version. 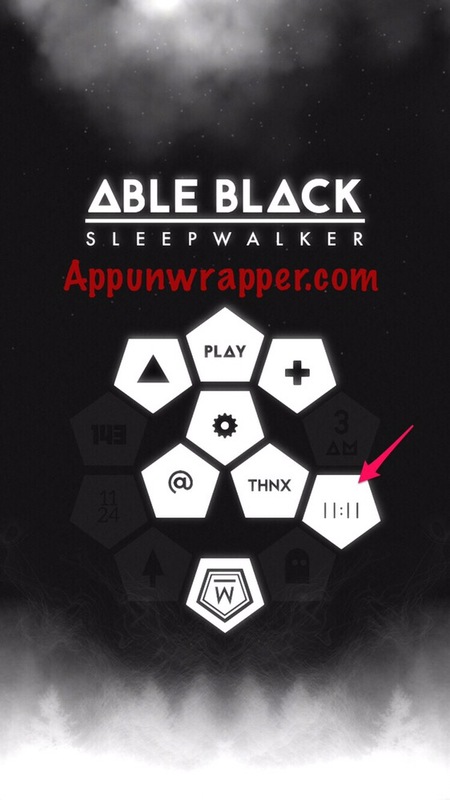 How do you get past the 11:11 sleepwalk part? I’m stuck at the 11:11. How do I sleepwalk? Need help in the newest update on the ghost and the tree/arrow. 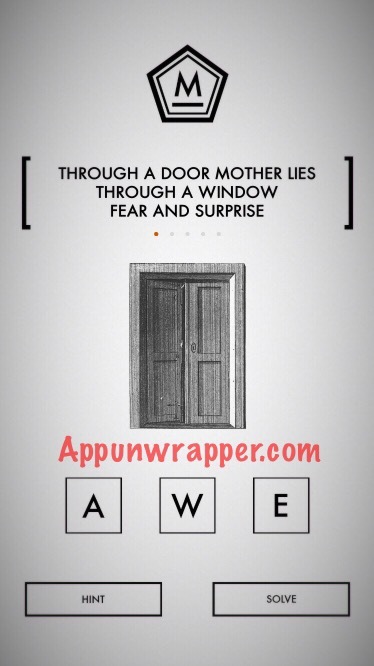 Of course, I only figured this out after trying about 100 other three-letter words, only remembering that awe was a word I’d seen earlier in the game. Then I reverse engineered the answer. I beat the score. Would you like to know what the notes says? I beat the 143 high score. Would you like to know what the notes say?